Sign up and receive Property Email Alerts of Houses for sale in Cola Beach, Sedgefield. Back on the Market - Second Changes Don't Come by Often, Here is Yours! Dual Mandate - Double-story, solid build family/holiday home, only minutes away from the beach, suitable for B&B or self catering accommodation is neatly nested on top of the hill of popular Cola Beach in Sedgefield . 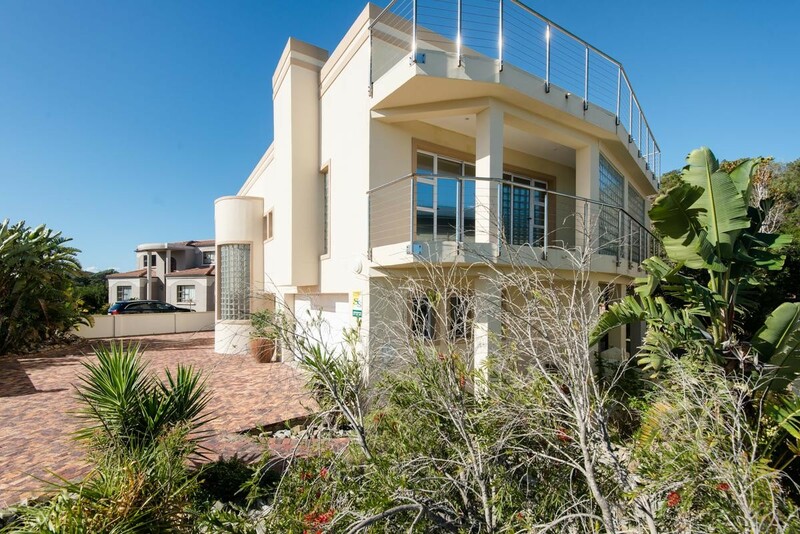 Oozing with potential and all the benefits for dual living, this beautifully appointed home offers generous and spacious living with all the extras and beautiful sea&sunset views. Thoughtfully designed to provide equally - comfort and privacy, the ground floor offers three large bedrooms, two bathrooms, kitchen and lounge, laundry and strong room. From each section you will be able to exit out to the covered entertaining patio with sheltered wooden deck with Jacuzzi, where you can rest and enjoy the intimacy provided by the terraced landscaped garden. A solid staircase will lead you upstairs in the comfort of the three sun filled double bedrooms, main en-suite, and a massive family bathroom with a balcony. The open plan kitchen with breakfast nook will keep you in the company of your family and guests. Sky lighted dining room with ceramic fire place and Informal TV/lounge opening to the large sunny veranda looking down the garden and the dune. From the indoor Braai area overlooking the sea in the distance, surprisingly you will find a fixed ladder to climb up to the roof top sun deck from where you'll enjoy the majestic ocean and mountain views. Double automated garage which can easily be converted into a separate living unit if needed. Lots of parking space, open and undercover. Windy house for your spare materials and so much potential. What a bargain, offers from 3.3mil welcome. Don't delay - Make your move! Sign-up and receive Property Email Alerts of Houses for sale in Cola Beach, Sedgefield.